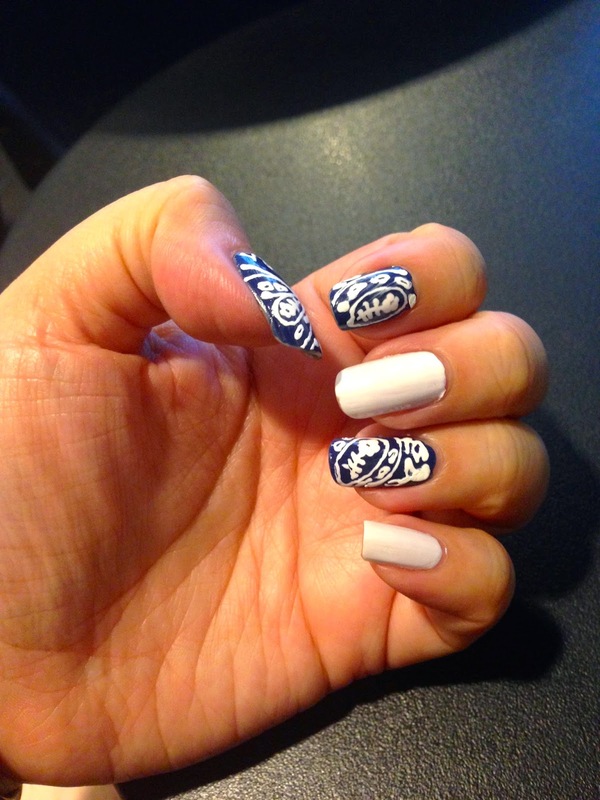 I decided to try out this design which kinda reminds me of Blue and White porcelain. My colleague asked me whether I used correction fluid to draw the design, to which I gave her this expression: (-_-). The answer is NO. I used a white nail art pen from The FaceShop, which is really one of the best tools when it comes to nail art because using a brush can be a real pain some times. However, I do need to be a little more patient and let the paint dry a lot longer than the polish before sealing it with a topcoat.